Travel, experience, reflection, and academic inquiry form the foundation of global service-learning experiences at Providence College. In a process that deepens learning and enhances either a summer, winter, or spring break travel experience, students analyze and reflect upon travel and community engagement. International Immersions are programs sponsored by the Office of the Chaplain/Campus Ministry at Providence College. 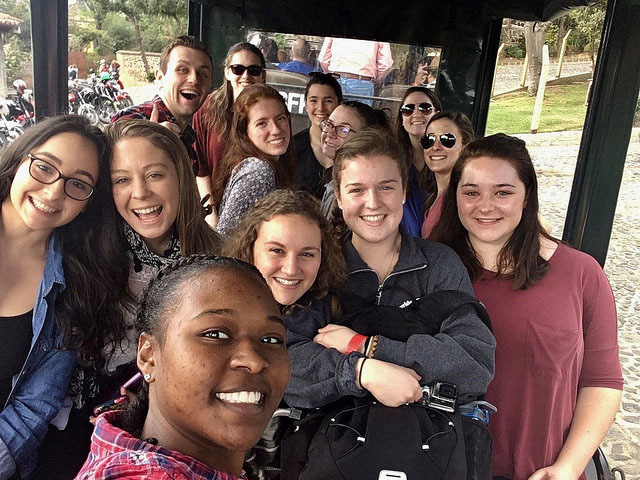 Each year at the end of May, Providence College students and staff members travel to different countries to volunteer and experience new cultures firsthand. Participants gain a vivid appreciation of their relationship to others – especially those who are underprivileged and suffering in today’s increasingly interconnected world. The Fr. Philip A. Smith, O.P. Student Fellowships for Study and Service Abroad are awarded on a competitive basis to rising juniors and seniors. The Fellowships enable students to undertake summer study or service at Catholic and Dominican sites outside the continental United States. The Fellowships cover travel, living, and incidental expenses, and provide Fellows with a modest stipend. The Global Service-Learning Program is run through the Feinstein Institute for Public Service and the Global Studies Department, in partnership with the Center for Global Education. Students from all academic backgrounds are encouraged to apply for a global service-learning course! You do not need to have prior experience in a Global Studies course in order to be considered for the program.